When you look at your smile, what do you see? If your answer is, "A whole lot of gums!" we may have a great answer to your problem. With gum contouring, we can reshape your gum tissue to create a more attractive smile, bringing balance to what some refer to as "gummy" smiles. Gum contouring can also be used to reshape gum lines damaged by recession. If you've got an uneven gum line, Capital Smiles in Schenectady, NY has a solution in gum contouring. “I would have lost all my teeth if I hadn’t come to Dr. Lieberman. So grateful that I did. Best dentist care I ever had. Just great." For patients with a gummy smile, the gum contouring procedure will involve removing excess gum tissue. Your teeth will look longer and your smile will appear more balanced than before, and the procedure is relatively quick and easy. We use lasers to make the process more comfortable, and lasers also speed up the healing process. Do you have an uneven gum line or a gum line that's been affected by the ravages of gum recession? We can use our soft-tissue laser to perform gum contouring to even out your gum line, giving it a more attractive appearance. We'll make sure that the entire procedure is completely comfortable by using local anesthetic to numb your gums. Lasers have been shown to lessen the pain associated with various gum treatments, including gum contouring. Laser technology means little to no bleeding, better sterilization, more precision for greater control and more beautiful results, and faster healing. Gum contouring is occasionally combined with some bone reduction to change the shape of your smile. If you want a more attractive gum line but are nervous about the procedure, consider combining your gum contouring treatment with sedation dentistry. 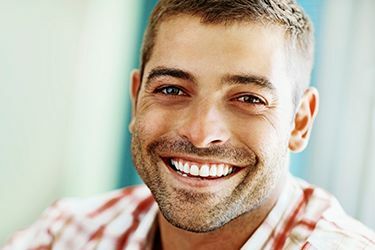 At Capital Smiles in Schenectady, NY, patient comfort is high on our list of important considerations, and that's why we use soft-tissue lasers and sedation dentistry to make sure you're comfortable and relaxed during treatments like gum contouring. Get comprehensive cosmetic dental care including gum contouring at Capital Smiles in Schenectady, New York. For patients from surrounding communities like Albany, Troy and the Capital District, Dr. Shiloh Lieberman and Dr. Erin M. Page offer this and other smile makeover treatments to make Capital Smiles the go-to practice for every dental need. Contact us to discuss gum contouring or any of our other dental treatments.